Diageo, has announced that it will be opening its first Johnnie Walker flagship experiential store, in Madrid, this November. The flagship store will house a special collection of Johnnie Walker whiskies and host a wide variety of immersive experiences, whisky appreciation classes and tastings designed to help visitors explore the world of Johnnie Walker blended Scotch whisky. The Spanish capital was selected as the location for the first Johnnie Walker experiential retail flagship due to its status as a leading tourism and retail destination and the popularity of Scotch in the country. 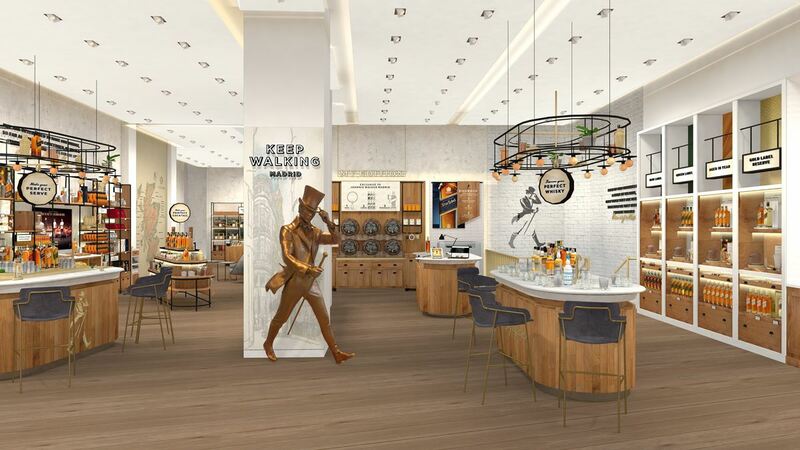 The brands first flagship store, will feature an interactive hosting area where guests can discover the craft of cocktail making, a tasting table where they can deep dive into the flavours that lie at the heart of Johnnie Walker, and a personalisation station where visitors will be able to find gifts and add bespoke engravings and labels to their purchases. Alongside the extensive portfolio of Johnnie Walker whiskies, visitors will also be able to purchase some of the rarest and most exceptional single malts from which the award-winning Scotch is crafted and explore limited edition curated collaborations, exclusive to the store itself. The launch of the new retail experience follows the announcement of a £150 million investment in Scotch whisky tourism by Diageo throughout Scotland - including plans for the opening of a new state-of-the-art Johnnie Walker visitor experience in Edinburgh, as part of the biggest concerted programme ever seen in Scotland’s whisky tourism sector and is the latest announcement from Johnnie Walker as the brand prepares to celebrate its 200th anniversary year in 2020.